New sci-fi romance from the RITA Award nominated author of GHOST PLANET! Our world is no longer our own. We engineered a race of superior fighters -- the Manti, mutant humans with insect-like abilities. Twenty-five years ago they all but destroyed us. In Sanctuary, some of us survive. Eking out our existence. Clinging to the past. Some of us intend to do more than survive. Asha and Pax -- strangers and enemies -- find themselves stranded together on the border of the last human city, neither with a memory of how they got there. Asha is an archivist working to preserve humanity’s most valuable resource -- information -- viewed as the only means of resurrecting their society. Pax is Manti, his Scarab ship a menacing presence in the skies over Sanctuary, keeping the last dregs of humanity in check. Neither of them is really what they seem, and what humanity believes about the Manti is a lie. With their hearts and fates on a collision course, they must unlock each other's secrets and forge a bond of trust before a rekindled conflict pushes their two races into repeating the mistakes of the past. 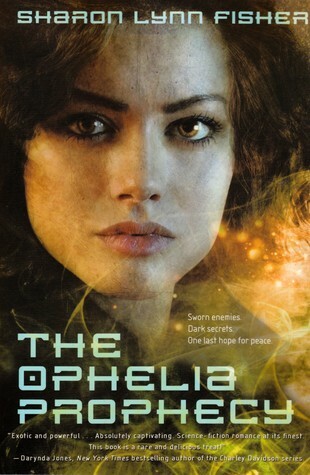 The Review: I enjoyed ‘The Ophelia Prophecy’, I don’t read a lot of sci-fi romance and it did make a nice change. The story was very imaginative as we read about a world where DNA manipulation has created various mutant humans that have become insect-like and are known as ‘the Manti’ who became stronger and more capable than humans. Humans were all but wiped out by an uprising 25yrs previous and now only pockets of humanity exist. One such place is Sanctuary and where our leading lady is from, Asha is an archivist who stores the information regarding the wars and how things were before the Manti took over, this is valuable information because ideally that is what the humans strive to get back to. When she wakes up on the beach one day with no memory of how she got there, her life is about to change in a big way as she wakes up alongside one of the enemy and he decides to take her prisoner. Pax is Manti, a very important one and he can’t afford to leave this human female where he found her, her missing memories are a problem and she needs to be questioned but what is also troubling is that he feels a connection to her, a mating instinct is evoked and he really doesn’t need that complication on his life – never the less, she must now go to his home. Over the course of their journey they will face many situations that will force them to believe and trust in each other building a bond in spite of both of their secrets. How far will they go to keep each other safe? Is it possible that a prophecy from long ago could come to pass? I liked both Asha & Pax’s characters; Asha seems to be fragile and docile in the beginning but we soon find out what she is capable of and Pax seems to be fighting a fate that he doesn’t want and is blindsided by this lady appearing in his life. The relationship that developed between Asha & Pax was great, the connection was immediate but the relationship was not, it was a slow burning thing that took time to develop and I appreciated that especially considering Pax’s mating instinct had been set off from the start. I always like enemy to lovers stories and these two are so far apart that it’s hard to see how they could come together. As I mentioned above, I enjoyed this book and thought it was very imaginative. The world building was good and created a realistic future that could be plausible where the tables have definitely turned on humanity. The Manti were described well enough that you could really imagine their features and behaviour which I find to be a plus if an author can do that for me. I liked the characters throughout the whole book, they are diverse and aren’t just two species of Human & Manti because the Manti had varying mutant levels and some are more human than others so there are a lot of sub groups going on aswell. Obviously Asha and Pax’s relationship isn’t the only thing going on in the book and we find that not only do the humans have a small rebellion but the Manti do too and everyone has a different agenda. When we learn the secrets that everyone has been keeping, especially Asha, the action is brought into the plot and we find out where everyone stands leading to danger, life threatening situations, betrayal & misdirection that built to an exciting conclusion with two lovers from opposing sides that could just change everything. My only grumble is that the ending seemed a bit rushed but it did seem to be left open for a possible sequel. This was very different and original and I enjoyed it a lot. Thank you to Tor Books for giving me the opportunity to review this book in exchange for an honest review. 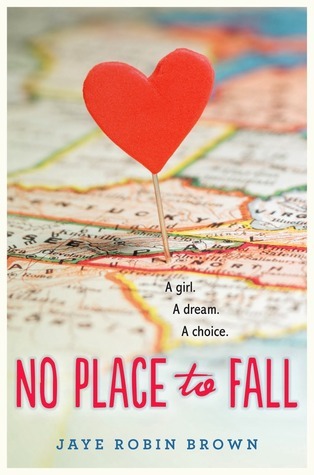 The Review: No Place to Fall follows sixteen year old Amber Vaughan – a good girl who sings solos at her local church, always does her homework, and helps out her family with babysitting her baby nephew and also trying to keep her family together. But Amber’s one release is visiting the hikers that travel through the Appalachian Trails near her home and releasing all her pent up frustration by being a bit wild, making out with strange guys and getting drunk. 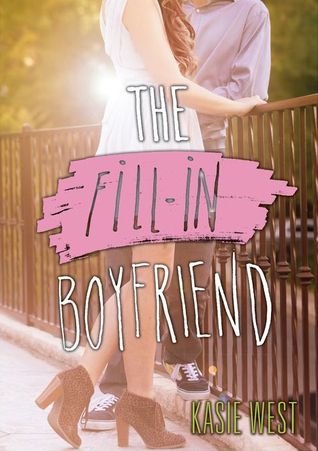 She’d be mortified if anyone other than her best friend Devon ever found out. But when Amber learns of an audition for the chance to go to a School of the Arts in North Carolina to sing, Amber realises her dream of singing is something she want to peruse but as she tries, her family life keeps dragging her down. Even with the help of Will, Devon’s older brother Amber isn’t sure she can do it and ultimately leaving her final choice to decide between right and wrong because of the mistakes that Amber has made along the way. I’m not sure where to start with this review because No Place to Fall sounds like the perfect summer read. It started out well but as I read more and more, I really started to not enjoy it. At first it enjoyed getting to know the characters but it became quickly obvious that there weren’t many likable characters throughout the story. Amber was I guess, okay. I didn’t feel the connection with her and I keep rolling my eyes at some of the things she said and especially some of her actions. I think the main issue I had with the story was Amber’s family. They were all completely unlikable and dysfunctional and they didn’t do anything to redeem themselves by the end of the story. Amber’s sister, brother-in-law and father being the main culprits. And then there was Will. Will is the love interest for Amber. I liked him but at times he treated Amber poorly. I didn’t think he could redeem himself and he did slightly but still, I’m not sure I could completely forgive him for the way he behaved at the start. The plot of the story was okay. I couldn’t connect to the way all of the characters seems to have a deep connection with music that they would just start jamming or singing in the middle of the street. In all, No Place to Fall simply wasn’t for me. I wish it was something I enjoyed more but there were too many facts that made me dislike the story. Thank you to HarperTeen for giving me the opportunity to review this book in exchange for an honest review. Five little ghosts at the end of the day, are on the lookout for somewhere to play! Follow the adventures of five little ghosts in this comical rhyming caper. From a dress-up box to midnight feasts, this cute board book features a host of friendly Halloween mischief! 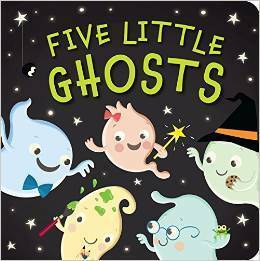 The Review: Five Little Ghosts is a fun and enjoyable board book that follows the adventures of five little ghosts who are looking for somewhere to play, but we seem to find them in more mischief than anything else. This is exactly the type of story that my daughter loves and it was even fun for me to read it to her. With its brilliantly crafted rhyming all the way through, it’s definitely not a dull story. It’s entertaining and keeps a smile on your face all the way through. We really enjoyed how each little ghost had their own personality and my daughter loved pointing out the differences between each ghost, like one wears a shiny hat and they are different colours. What made this story memorable for us what that this is the first Halloween story that we’ve read together. There definitely should be more books like this around because it’s something that you won’t forget and can read for several years – depending on the age of your child. Plus there’s the added bonus of trying to find the cat and frog which are featured on each page. We had tons of fun trying to find them. Patricia Hegarty has written this story perfectly and I would love to see more from her. Five Little Ghosts has captured our hearts and is perfect for any young child who loves reading. Thank you to Tiger Tales for giving me the opportunity to review this book in exchange for an honest review. The Review: Prodigal Son is the first book in the ‘Truth Seers’ series by Debra Mullins and thought it was fantastic! I love the idea of a ‘gifted’ bounty hunter that uses his gifts to track down criminals and Rafe was a great leading man, he had a lone wolf, brooding, mystery about him and I couldn’t wait to unlock some of his secrets. I was very intrigued by his visions and his ‘Hunter’, it made his character even more interesting. I really liked the connection to Cara when she entered his life, it made sense for them to team up considering it was her brother they were trying to find but neither were prepared for the attraction they shared, it was electric. I loved what she could do for him further into the story and that there is talk of ‘mates’ – we all know how much I love soul mates - and they fit well together and made the chemistry very believable & I liked what they brought to each others lives. Rafe also has some unfinished business with his family which ties into the book so well and was the cause of some bad blood, I enjoyed this part too and I got why he turned into the bounty hunter and why he became the loner we first meet, it goes a long way into getting to know the character a lot more and a great introduction to his family and their powers too. I thought the storyline was great and quite original, I loved the idea that there are descendants of survivors from Atlantis and they possess certain powers. I also like how the Atlantis connection isn’t cut and dried and that throughout the book it is opened up a lot more showing us a variation in those powers. I really liked that Rafe chose to be a bounty hunter and how his gifts were an asset to his profession, I liked how he used them and the premonitions he got and I especially liked the use of precious stones to enhance and channel the power and energy and thought they were used well throughout the book. The threat was really good and sinister too because of what the enemy could do, it gave a feel that no matter what happened that Rafe & Cara would never be safe especially with the run and chase scenario that happens for a good portion of the book. It was a very intriguing book and I loved the mystery of it all, it really kept me on my toes and interested, the pacing was great and I loved that there were surprises thrown in at random to grab my interest even more. I will definitely be looking out for the sequel to find out more about Rafe, Cara and his family. 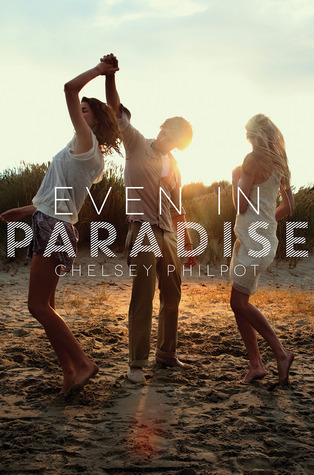 A chance encounter that leads to an unlikely arrangement and epic love affair that will change them both for ever. 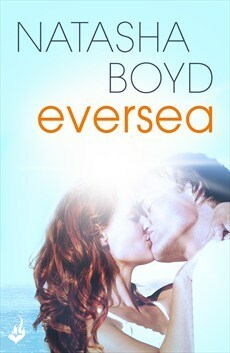 The Review: If you’re a fan of New Adult stories then it’s impossible to not know about Eversea by Natasha Boyd. It’s all I’ve been hearing about so I knew it was something I wanted to read so I could discover the hype about this story, and although it’s not a favourite of mine, it’s still worth a read. Kerri, an orphaned southern girl living in a small town called Butler Cove. Her life is going by day by day until it’s her change to escape. But for right now, she’s stuck and is desperately trying to renovate her family’s estate. This is where Hollywood actor Jack enters who is looking for a quite summer to get over a nasty and much publicized relationship; Jack goes off the radar and straight to Butler Cove looking for some much needed peace. It’s at a bar one night that Kerri and Jack meet and soon realize they could both get what they want by working together, but can they stop the obvious attraction that is flying between them? Eversea is a quick summer romance read that’s has quite an enjoyable story. I really enjoyed the characters introductions and found I quickly connected with the characters and their lives. I do love a good Hollywood romance story and while I enjoyed Eversea I didn’t love it. For me the story was overall predictable and I feel like I’ve read the story a million times in other books now. I can see why so many people enjoyed the book though because I do think Natasha Boyd set the plot of the story up quite well and it was just a shame it was so predictable. I did really like Kerri. I loved her personality and thought she was a lovely person. So completely down to earth and so much fun. And I completely fell for Butler Cove – I really want it to be real! I think the main reason I had an issue with the book was Jack. I liked him, I really did but I just thought he was so boring. I honestly think I’ve been spoilt for choice with all these bad boy characters and Jack is just so vanilla. I didn’t feel the connection to him as I normally would for the love interest. In all, Eversea was a good read, one that I wish I enjoyed more but still I’m glad I crossed it off my TBR for this year! Thank you to Headline Eternal for giving me the opportunity to review this book in exchange for an honest review. One delivery changed her whole life. Izzy was a normal girl living in Chicago as a bike messenger before that fateful day. She delivered one package and set into action a chain of events she never could have expected. Now she is running for her life from the Corporation, her best friend is not at all who he seemed, and to top it all off she keeps having visions. Will she survive to navigate the waters as a Seer? Will her feelings for Kennan be her very downfall? Find out in See How She Runs. The Review: See How She Runs was a really good introduction to the ‘Chronicles of Izzy’. In this story we meet Izzy, a bike messenger, she’s 24 nearly 25, lives with her best friend – Kennan – who works in a bar and happens to be male. Izzy is just going about her usual business when she is asked to deliver a letter to the head of a corporation, upon delivery she gets really bad vibes from the man and tells her boss that she won’t deliver to him anymore. When she tells Kennan about this man, he gets angry but when the man apparently bumps into her and asks her on a date….Kennan packs her bags because Izzy is about to find out that her whole life has been a lie and that man from the corporation wants her, for her abilities?!? Izzy is in for a quick study as she finds out she is a Seer and that Kennan is in fact her Guardian and with the corporation after her, she has no other choice but to run. I really enjoyed this book, I thought Izzy was a great character and had a great voice that you could easily connect with, she dealt with things with humour and even though her world was changing so much, she never pitied herself or her situation. Kennan was perfect for her and they created some hot sexual tension in a will they, won’t they romantic scenario that brought some sweetness to the plot as Izzy tries to come to terms with seeing her friend in a different light and Kennan battling between his feelings for Izzy and his obligation to her. The storyline was good, the premise is that Izzy is a Seer (something she was unaware of) and each Seer comes with a Guardian who can be hundreds of years old before he finds his Seer, Kennan happens to be Izzys Guardian. The corporation is the bad side of the Seer/Guardian lifestyle where they would capture a Seer and use her for profit, so you can understand the need for Izzy to run. This book focuses on Izzy finding out about the world she is really from and who people are around her, who the enemy is, how they operate and of course her training in her powers and how to defend herself with just that smidge of romance. I found it intriguing, Seers aren’t that popular in books so I found it a nice change from the norm and I enjoyed immersing myself in their world and will be reading book 2 very soon. Thank you to Michelle Graves & Paranormal Cravings for giving me the opportunity to review this book in exchange for an honest review. Jess's thoughts: "This sounds pretty much up my street. I look forward to its release." Donna's thoughts: I really enjoyed Kasie West's On the Fence so I have to say I'm rather excited about her new book coming up. I hope it's just as good! The Review: Blood Beyond Darkness is the final book in the Darkness series and what an ending it was, it was just brilliant!! It has all been leading to the ultimate showdown between the Queen of Light –Aniera- and Ember Brycin – Dae, Dark Dweller, Abomination, Fire starter & prophesised one – in this epic finale. We start this book knowing that Ember and best part of her allies have been betrayed & captured after finally obtaining the only weapon capable of killing the Queen but Ember had been forced to make a deal for the man she loves and that could seriously hinder her quest to save Earth. Now, of course there is a lot more to this book than that but I think I will let you find out for yourself what happens next because I don’t want to give away a thing. Let’s just say that it’s everything you want in a finale, it has action, it has training, it has magic, it has fights, betrayals, alliances, heartbreak, incredible loss, sorrow, determination, sacrifice, violence and epic battles but it also has hope, faith, love and the sense of family, where everyone is willing to pay the ultimate price to be free & safe from tyranny and to keep Earth safe from one who would enslave them all and still has time to give us a ton more secrets that we don’t see coming and plenty of Ember & Eli sexytime too. I have loved watching Ember grow in character throughout the books from a misunderstood teenager unaware of herself or her power, who finally begins to get answers about who and what she is leading her to acceptance. She had a rough journey when all she wanted was to keep the people in her life safe and everyone else wanted to use her for their own gains. Meeting Eli may have been the start of her journey of self discovery but he never thought he would fall for the enemy, the one kind of person he should hate with all of his being and bringing about one of the best couplings that I have ever read in a series. Even though they shouldn’t have fit, they did and their sexual tension was off the charts, not just hot but scorching, waiting for their stolen moments as they clashed time and time again until finally! They came together in an almost brutal passionate encounter that totally rocked my world. He was a savage, seemingly incapable of love and Ember couldn’t trust or let people in but I have never been more satisfied when they set aside their prejudice, fear & doubt for each other and even if they wouldn’t admit it – loved each other fiercely. I expected this book to be awesome, I knew after reading the books before that it would be because they are consistently amazing and they have each blown me away each time – this is no exception – except possibly even better. I spelled out above what it has to offer, I was so invested in this series that I was routing for everyone and I refused to believe that Ember would fail. I loved that the book wasn’t just about one battle at the end and it was all about getting there – yes it did head to that – BUT there was a long way to go before we got to the showdown, there was more than one for a start, there were a good few spanners thrown into the works and the fact that I was still being shocked by secrets that were continuing to come out of the closet shows just how good this series had actually been. You may think that Ember is ready after all she had been through – but is she? She has a lot on her shoulders being burdened with a prophecy and everyone's belief in her. I think this series has been brilliant and this book is just the icing on the cake, I went through it all with them, I fought with them, I felt their betrayals, their losses, I felt their love and I believed in it all – I would recommend this series to anyone, Eli Dragen will be on my book boyfriend list for a long time and I can’t wait to see what Stacey Marie Brown comes up with next. Thank you to Stacey Marie Brown for giving me the opportunity to review this book in exchange for an honest review. When Julia climbs into a flaming car to save a trapped child, she's left wondering why either of them survived. Then she learns that her father is the Archangel Gabriel, and that she is half human, half Archangel. With guidance from Michael, the most powerful Archangel, Julia sets out to discover her own history and explore her angelic powers. But her journey is cut short when an evil force, invisible to human and angel alike, tears her world apart. Now Julia must fight through her despair, harness her newfound gifts, and risk her very soul to stop the A'nwel and protect the family she never knew she had. What she doesn't know is that Archangels have secrets too." Julia could only nod. She’d survived enough carbon monoxide poisoning to kill six people. There had to be a reason for it. Michael’s wording struck a nerve, though. He said she started to ‘become open’ to it. Gabriel had said that crazy people were ‘open’ to alternate realities. Did that mean she went crazy? And how would she know if she did? 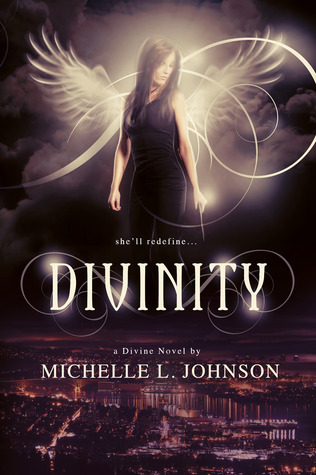 Michelle L. Johnson is the author of DIVINITY, a supernatural urban fantasy, and the author of THE FOOTLOOSE KILLER, a mystery. She's also a literary agent, a coffee lover beyond reason, and has a fascination with the workings of the human mind. Her key influences have been Stephen King, Anne Rice, and C.S. Lewis, but is inspired by every author to put pen to paper. Michelle lives in Jacksonville, Florida with her muse and her rambunctious Cocker Spaniel, Sammy. An all-time classic Mog story refreshed with a new cover and format. Join Mog for a fantastical adventure with mousedogbird! Mog sat in the dark. Mog thought in the dark. And who else was there in the dark? One night Mog’s imagination takes her on a hilarious twilight adventure to a land of fantastical creatures, but true to form, all Mog really wants is her supper! The Review: Mog in the Dark is about Mog the cat experiencing the dangers of being outside at night compared to his daily routine of being a cat at home in his nice warm basket and with his family. 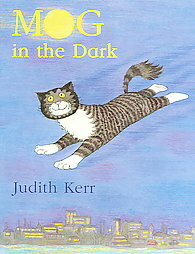 This was the first time I’d ever read a book by Judith Kerr and her continued Mog books, even though I’ve been hearing about Mog for years. I have to say I was excited to dive in with my daughter, but it was quite clear from the start that this was not a book that we were going to enjoy. The main problem was that the story was so repetitive that I found it quite difficult to read it. My daughter – who is nearly 4 years didn’t appear to be that impressed either. Usually with a book she’ll point out what she likes or gets excited, but she didn’t do that with Mog in the Dark. Maybe she was a little young for it, I’m not sure but for us, this book didn’t work but I won’t rule out reading more of stories about Mog. Thank you to HarperCollins for giving me the opportunity to review this book in exchange for an honest review. The Review: Sixteen-year-old Kyra wakes up behind the Gas ‘n’ Sip gas station with no memory of what has happened to her. All she can remember is the argument with her father, the flash of light and then nothing. Thinking she passed out and it’s now the following day, Kyra makes her way home, however she suddenly finds that things are how she left them last night. Five years have passed, her family has changed and aged, her boyfriend has a life in College with a new girlfriend but Kyra, Kyra is still the same….she hasn’t aged. What happened to Kyra during them five years is a mystery, but Kyra wants answers but will she like what she finds? The Taking started off with such an engaging and strong start that I instantly assumed this would be a fantastic read. It’s intriguing and exciting. It reminded me of one of my favourite films that was released in the late 80’s called Fight of the Navigator and even though I knew it wouldn’t have the same final outcome, I was still so impressed with the start of the story, I was dying to rate it 5 stars straight away. But then, I have no idea what happened because once I hit about a quarter of the book, I suddenly lost interest. I liked Krya and I felt for her situation but I almost felt as though I was more concerned for her than she was herself. She has no idea what has happened, her parents have no idea and I felt as though there wasn’t much concern of that. No concern from doctors, or the police. Everyone seemed to accept Kyra’s story and just try to get on with their lives. I kept reading and thinking that surely there should be more hype over the fact she’s returned without aging, but there wasn’t any. Kyra was obsessed with keeping time, but we never find out the reason why. She also spent a lot of time being upset over her ex-boyfriend and her new love interest, but for a girl who has lost five years of her life and she has no reason why, surely she would be more upset? For me the lack of emotions didn’t make her story believable. The plot of the story was quite entertaining, however it’s not until a third of the book that you start to get a hint of what is going on. The romance was good, a little fast but good. I didn’t mind that Kyra fell for her ex-boyfriends brother. I think the way the author did their story was quite good and especially with ending – that was totally unexpected. 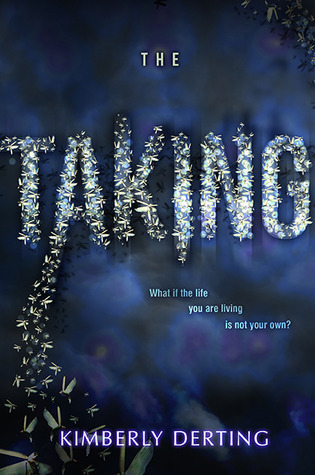 In all, The Taking was an okay read. I just felt it was a little poorly executed and needed to be a little more believable. Would I read the sequel? Maybe, I’m not sure if the ending grabbed me enough to but I could change my mind. Everything Isadora Starling wants is right there in front of her, but Toryn is off limits. He’s her best friend. She’s been denying her heart all these years, afraid to lose him. Toryn Flame has a long past full of secrets. None of which he can share with Isadora, the only person who truly matters to him. She’s the one woman who has never shown a hint of lust toward him, but even if she did, pursuing her is forbidden. That all changes when the family Isa doesn’t know decides it’s time to reveal who and what she is. After Isa’s recent attack, their motives are unclear. His only goal is protecting Isa. Toryn will do everything in his power to keep her safe, including going against orders from his king. Toryn’s only fear is losing Isa’s trust. Once the truth is revealed, can she forgive him for years of misdirection and omissions? Can she come to terms with a world she doesn’t want or know? The Review: YOU NEED TO READ THIS BOOK! With each book by Brandy L Rivers, I always say it was the best so far because she always comes up with something different – even in the same series – and this is no exception! Way to open up the world they live in! This was brilliant! We met Isa & Toryn in book one – Night’s Embrace – and Isa made an impact for me because she was seeing a character from that book but was clearly feeling something more for Toryn… but Toryn was seeing someone and that led Isa to believe he was only into men. So here we are with their story as things come to a head between them because it’s quite clear that something has to give in their friend zone relationship and that is just the beginning….I have to say, I wondered how they were going to be together because of Toryn’s relationship with Leon but that worked out perfectly and is part of Toryn’s secrets. In the beginning they are both mooning after each other, both loving the other but neither bold enough to make the first move. It is so hot when they do eventually get together, this couple will literally burn those sheets with passion and it’s clear that they are meant for each other, they feel right together and the relationship feels more real because of the bonds of friendship they shared beforehand. I loved how they came together and I love Isa’s need for independence and her acceptance of the changes in her life, this woman takes everything in her stride and the only thing that can scare her is losing Toryn. Toryn was so admirable because even though he is her protector, he still understood her need to look after herself and even though it goes against his feelings, he let her act on that. Toryn is hiding a few secrets from Isa, one being that he is her protector and another being that Isa has no idea who she really is and is about to find out. The storyline in this was epic, I LOVED everything about it and I really enjoyed finding out about Isa’s true heritage. There are a lot of surprises in store for her starting with what Toryn has been hiding but then that becomes small in comparison to what else she learns. For one, she has a family she never knew existed, two – she is super powerful, three –she is a very special person, four – people are hunting her and want to use her, five – her world is about to be turned upside down but six – Toryn loves & wants her making her able to handle anything else. As I mentioned, the world of ‘The Others of Seattle’ is about to opened up in a major way and some new species are introduced that we haven’t seen before including satyrs & dragons!! (I’m excited about the dragons) Some of the book even had a fantasy feel to it and that’s something new also and there wasn’t a werewolf in sight. The threat was very sinister & seedy with a very creepy enemy (who also links the book to ‘The Others of Edenton’) and this is where we get to Isa at her best and strongest as she faces down more than one enemy. There is tons of action, threats, power plays, huge secrets and lots of sexytime making this a must read for fans of paranormal romance. I would gladly read another book about this couple and couldn’t recommend it enough…… oh and did I mention it has Dragons??? I need their books too! Thank you to Brandy L. Rivers for giving me the opportunity to review this book in exchange for an honest review. If Your Book Were Made Into A Movie – What Songs Would Best Fit The Story On The Big Screen?